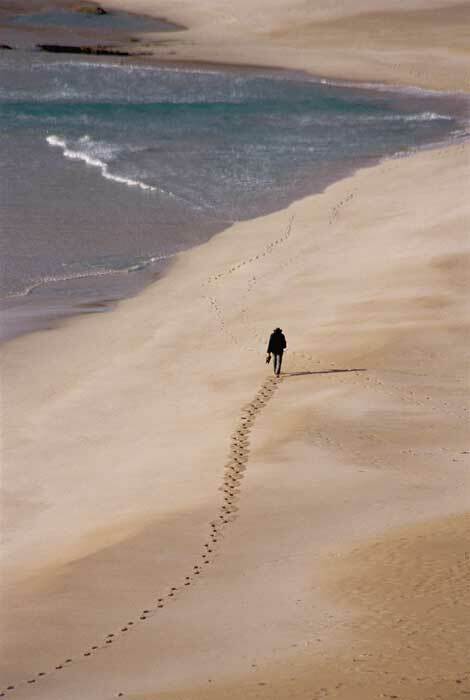 The third of our top ten Australian day walks, Flinders Chase Coast is the highlight of the South Australia’s Kangaroo Island on two feet and a hear beat. Discover edge-of-the-world beauty as you wander atop the limestone cliffs of Kangaroo Island’s west coast between Ravine des Casoars and West Bay. This northernmost section of the Flinders Chase Coastal Trek is sheer rugged coastal magnificence, with eroded cliffs, tiny beaches clipped into them and the Southern Ocean in one of its rare colourful moments. Beginning at Ravine des Casoars, the route climbs the cliffs at the creek mouth, providing continuous views (and goannas) as you reach Vennachar Point and its infamous shipwreck, then on to the campsite at West Bay. Time your arrival for sunset to see the beach at its best. 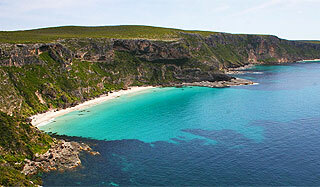 Flinders Chase NP is on the west coast of Kangaroo Island. Ravine des Casoars is 100km west of Kingscote. A striking rampart of cliffs and a bevy of wildlife. Early last century, Flinders Chase NP was chosen as a Noah’s Ark of sorts in which to preserve threatened Australian fauna. Today it’s crowded with tammar wallabies, koalas, Cape Barren geese, goannas and kangaroos. The bizarre moonscape of rock features as you round the southernmost headland. The limestone here has been eroded into stalagmites and fragile platforms. Much of the walk is across uneven and broken limestone, which is tiring and requires concentration, fitness and sure footing.